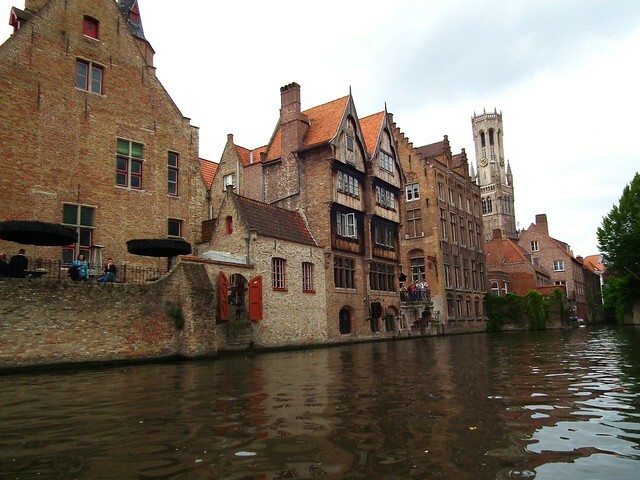 Bruges, Belgium is famous for many things – chocolate, lace, and canals most notably. 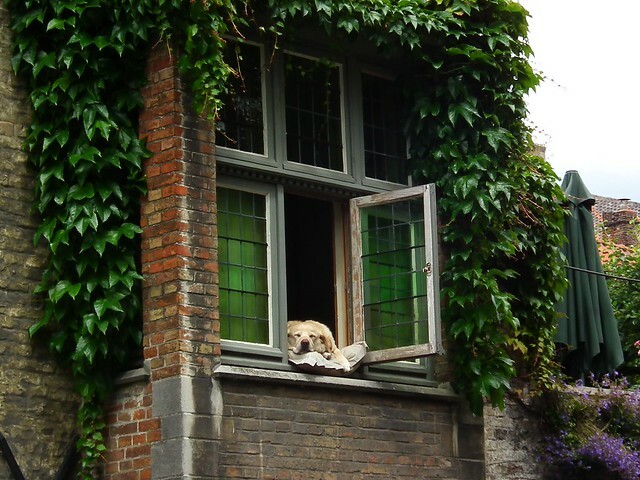 The city does however have a famous resident that you might not know about – and he’s a rather cute resident at that. No, it’s not an artist, writer, painter, or royal. He’s a bit furrier than that. His name is Fidel, he’s a beautiful golden lab, and his favourite spot is in the canal side window of the B&B where he lives, Côté Canal & Huyze Hertsberge. We first ‘met’ Fidel when we took a canal boat trip along the canals of Bruges and the driver slowed to point out the famous canine, joking that when he dies they will probably just stuff him and set him there everyday. At first I didn’t even believe that it was a real dog because he just lays there, half asleep and unmoving for hours on end, but after a moment he cast us a cursory glance before going back to his afternoon of napping. Fidel is even a bit of a movie and TV star, being featured in numerous commercials and the film In Bruges (which you should watch, it’s great). Fidel must hold the record for being the most photographed dog in the world, with tour boats packed with camera wielding tourists passing by him constantly. He doesn’t seem to mind though, he just goes on sleeping and occasionally surveying his domain. 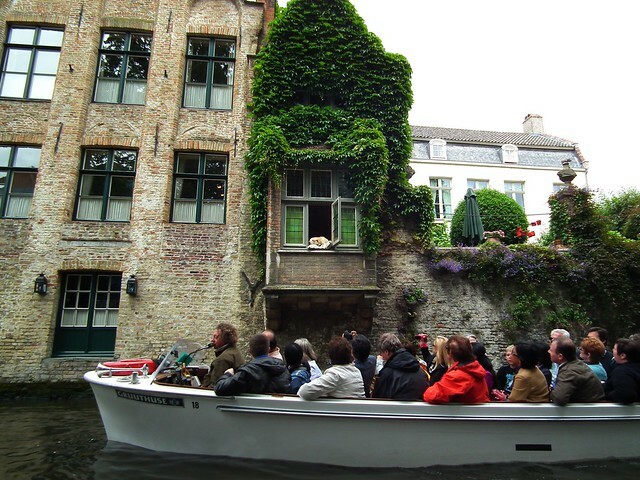 You don’t have to take a boat tour to catch a glimpse of this pretty puppy, just take a walk down Groenerei street and you can see him across the canal. You really should take a canal boat tour though because it’s a great way to see the city and be astonished by the multi-lingual skills of the guide. Our guide gave all of the commentary in three languages, one right after the other. The Belgian’s really make the rest of us look pretty lazy in the language department. Join in the Friday Photos fun over on Twitter! There’s a different theme every week and everyone is invited to get involve. Just tweet your best photograph using the hashtag #FriFotos. Brilliant movie. One of the funniest I’ve seen. I’d really love to see the city. It’s fun watching the movie after you’ve visited the city – we spent the whole time saying “I’ve been there” “I’ve been there”! Bruges is definitely worth a visit, it’s gorgeous and the chocolate is delicious!